We practice facial lipofilling under local anesthesia. The rate of a facial lipofilling varies from 2400 to 3000 euros according to the difficulty of the case. -Fill some deep wrinkles especially the naso labial fold. A discreet correction is done as the injected fat usually adheres only at 60%. The final result is obtained after 1 month et is totally stable along the time. The procedure is often practiced under pure local anesthesia. It is not more painful than a hyaluronic acid injection. You can also choose it to be done neuroleptanalgesia (local anesthesia further by tranquilizers administered intravenously. This will require a pre anesthetic consultation, at least 48 hours prior the procedure. The recovery is very simple and a normal social life can be considered 48h after the lipofilling. The modern fat purification techniques help to avoid bruises on the face, nonetheless a light edema appears during 48 hours due to the correction. We observe the bruises on the areas where the fat has been injected during 10 to 15 days. -The purification is done by filter and cleansing which completely eliminates the blood and the oil that causes bruises and inflammation on the face. -The fat obtained is fluid and allow the injection through thin cannulas (21 or 23 gauges) which makes this procedure under pure local anesthesia possible. -As the fat is thinner, there is less risks to get disgracious fat balls after injection. 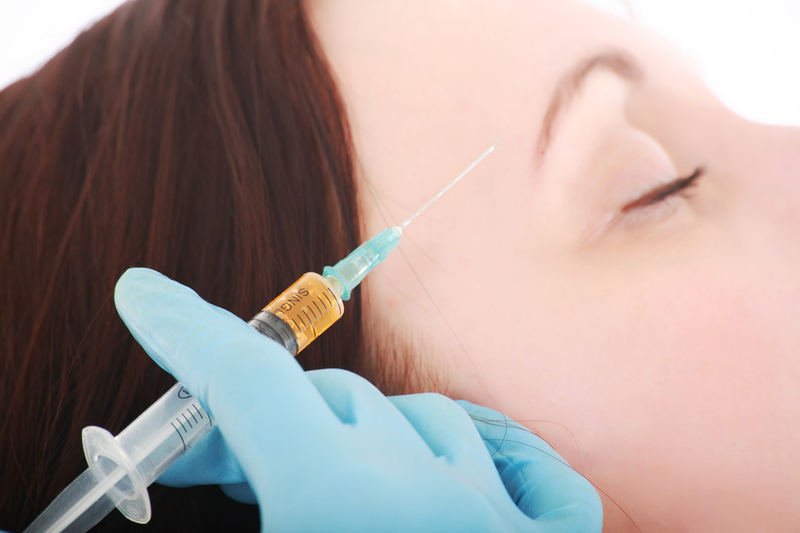 What are the differences between facial lipofilling and a hyaluronic acid injection? The fundamental difference comes from the stability of the facial lipofilling effects along the time. Once the fat is resorbed, the volume will not decrease and there will not be any renewed injection necessary. Moreover, it is a autologous product, which means coming from the patient’s own body. It is not possible to get any inflammation reaction on a long term basis compared to the other injected products foreign to the body such as the hyaluronic acid which, even after purification, contains chemical stabilizers like the BDDE. The fat also has some inconveniences. The amount injected is more than the hyaluronic acid one. It is therefore not compatible for small wrinkles correction or some areas where the skin is very thin like the skin under the eye. Moreover, it can spread out while some dense filling products (Juverderm Voluma or Radiesse) allows a better projection and a modification of the volume of the face more precise (like on the treatment of the tear trough. So we use the lipofilling as a first purpose to correct deep wrinkles (naso labial fold and the bitterness fold) and to increase the volume of the cheekbones. We prefer to use hyaluronic acid less concentrated (Emervel Lips) for the treatments of small wrinkles (forehead of lips) and the Radiesse for the treatment of the tear trough by volumetry. Is the result of lipofilling stable along the time? Yes, once the partial absorption of the graft is done (we estimate the volume injected is reduced from 40 to 50% the 15 following days after the procedure), the result is perfectly stable. What are the possible complications of the facial lipofilling? A rigorous technique is necessary for this delicate procedure. It is a graft, so the rate of the absorption of the tissue can vary. Heavy smoking for example strongly reduces the absorption of the graft. Nevertheless, we can consider that made by an expert surgeon, the absorption of 50 to 60% is usual. By absorbing, the fat can create small fat balls that can not be seen but can be felt when touching. Therefore, it is better to inject it deeper. At last, as the correction is necessary, the face is edematous during 2 to 4 days after the procedure. Is there any lipofilling taken care by the national insurance? Yes, if you suffer of a lipodystrophy due to an antiretroviral treatment against HIV. Your case will be analyzed by a national insurance doctor in order to obtain an eventual agreement. The coverage of the charges of your lipofilling by the national insurance does not cover the extra surgical fees. Our quote must be sent to your health insurance to know the amount taken care of. How much cost a face lipofilling? Bonjour, mon seul contact est le Dr David Boudana à Saguenay. Je crois qu’il consulte parfois à Montreal. Dites moi si vous voulez que je vous mette en contact.